Unfortunately, cupboards, wardrobes and closets are areas of the home that tend to accumulate unpleasant odors due to a build-up of humidity. Regular cleaning and ventilation can serve to reduce the problem. However we almost always have to resort to other tricks to avoid the unwelcome but all-too-common smell of mold and dust. 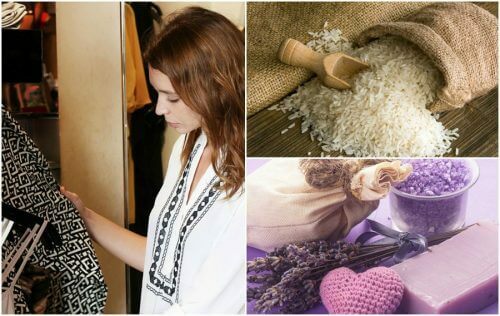 While there are a whole host of commercial products whose strong aromas can neutralize the smell, there are also some easy, 100% natural tricks we can take advantage of. This is especially useful if we’re looking to save a few cents. Here, we want to share the 7 best tricks with you. Don’t hesitate to try them out next time you’re confronted with an unpleasant smell when you open your wardrobe. 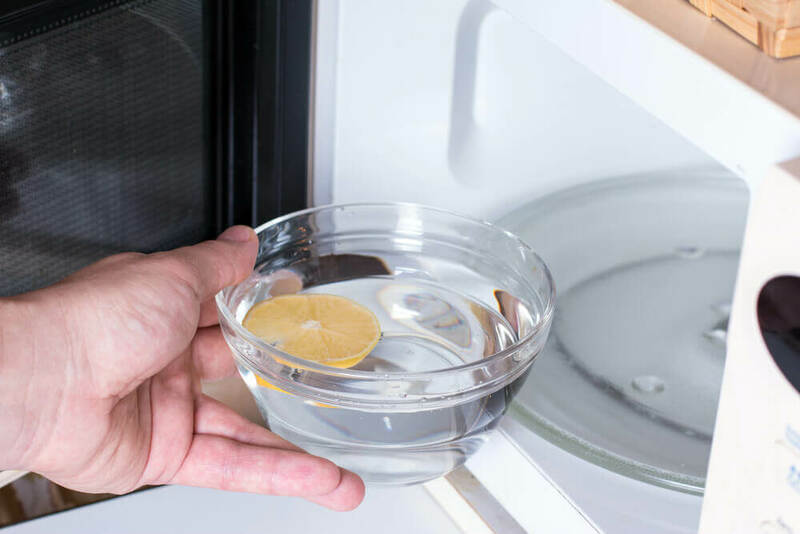 Putting grains of rice in cabinets is an old trick that has been used for decades to help absorb the moisture that facilitates the growth of mold. This prevents the mold from growing on the walls of your closet. Thus, it stops the nasty odors it produces from getting into your clothes. Place some rice into small cloth bags, and hang or place them in the corners of your cabinets. Alternatively, you can simply pour rice into an open, lidless container and place it in a corner on the floor of the cabinet. 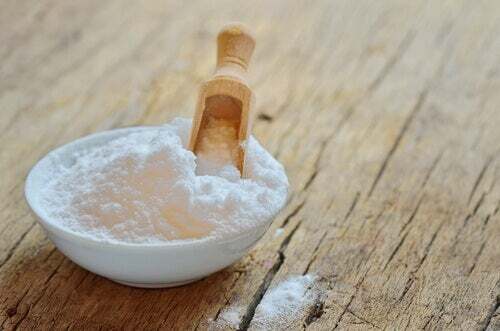 The antifungal and antibacterial properties of white vinegar mean it’s a great agent for neutralizing the odor of moisture that tends to build up in drawers and closets. White vinegar not only eliminates fungus, it also removes excess dirt, leaving the wood looking fresh and smelling totally free of strong aromas. Remove all your clothes from the closet. Then, moisten a cloth with white vinegar and rub it over the entire interior. When you’re done, leave the closet doors open to allow it to air for a couple of hours until the interior is completely dry. The absorbent and antibacterial properties of baking soda help to remove pesky wardrobe odors. Using it regularly in the interiors of your cabinets actually prevents mold spots from forming in the first place.In turn, it eliminates the risk of your freshly-laundered garments ending up smelling of mold. Fill a small cloth bag with baking soda and place it in one of the corners of the closet. Alternatively, pour the baking soda into a dish and simply place it on the floor of the wardrobe you want to clean. You can also just sprinkle the powder over the interiors of the furniture and let it act for 48 hours. A natural disinfectant made of lemon juice serves to eliminate odors from your cupboards. In addition, it gets rid of the mold stains and dust that can cling to their walls. Lemon juice also has a pleasant citrus smell. In a matter of minutes, it neutralizes that unpleasant moist odor. Dilute the juice of a lemon in warm water and rub the mixture onto the walls of your cabinet with the help of a microfiber cloth. Then, simply leave the wardrobe doors open for a couple of hours and close it up when the interior is dry. 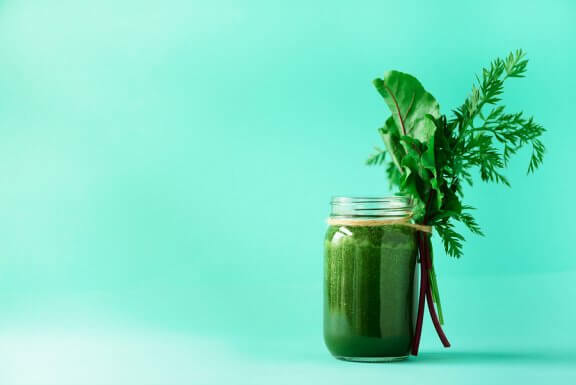 If you want to absorb the humidity that has built up inside your closets – not to mention leave them smelling delicious – then coffee grounds are a great option. This product, which you most likely already have hanging around in your pantry, prevents mold from spreading on the walls of wooden furniture. 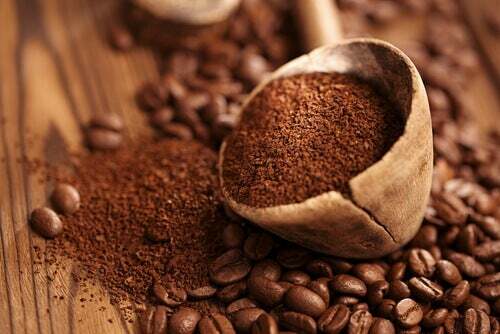 Sprinkle coffee grounds on the floor of your closet and leave to work for 48 hours. For a more lasting effect, pour coffee grounds into small cloth bags and place one in each drawer of the cabinet. 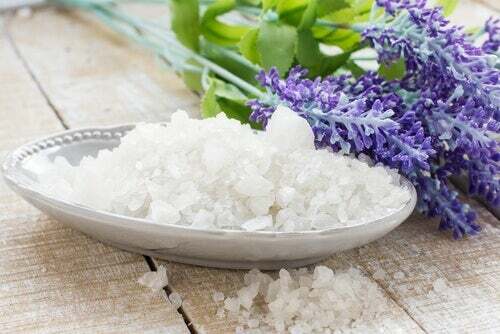 The delicious scent of lavender flowers can keep cabinets and clothes free from the smell of mold or moisture. This natural plant neutralizes strong aromas and prevents them from building up in closed spaces. In addition, since its odor repels insects, it’s an ideal way of preventing moths getting into your clothes. 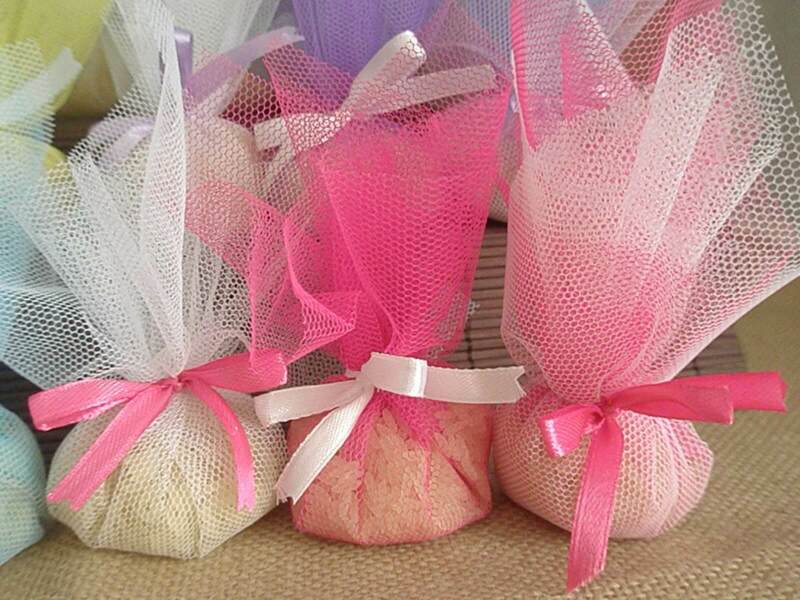 Get your hands on some small cloth bags, and simply fill them with chopped lavender flowers. Then, place the bags inside your cabinets or closets. Leave them inside until the odor of mold completely disappears. Another natural ingredient that can absorb moisture is salt. This product, which also has antifungal and antibacterial properties, helps prevent the build-up of unwanted wardrobe odors. Place a little sea salt in small containers, or the lids of jars, and place one in the corner of each drawer or compartment. Change the salt once a week, when it has absorbed moisture from the air. Is there a nasty smell coming from inside your cupboards or closets that’s bothering you? Go ahead and try any of the tricks we’ve looked at here, and say goodbye to them once and for all.